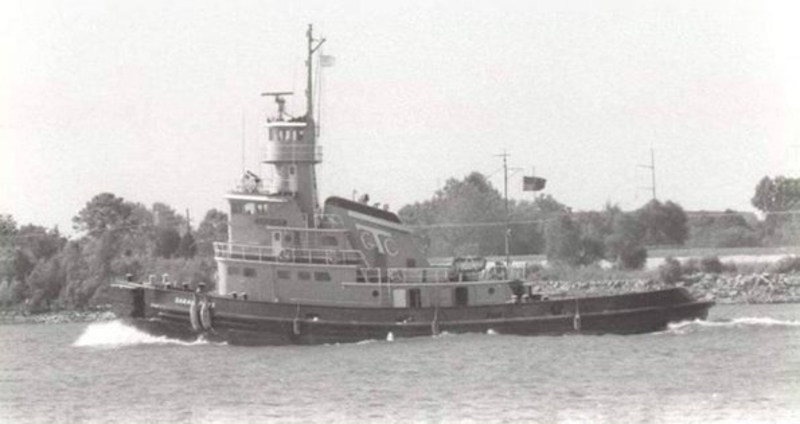 Built in 1965, by Gulfport Shipbuilding of Port Arthur, Texas (hull #597) as the Sarah Hays for Gulf Coast Transit Incorporated of Tampa, Florida. A subsidiary of the Tampa Electric Company of Tampa, Florida. 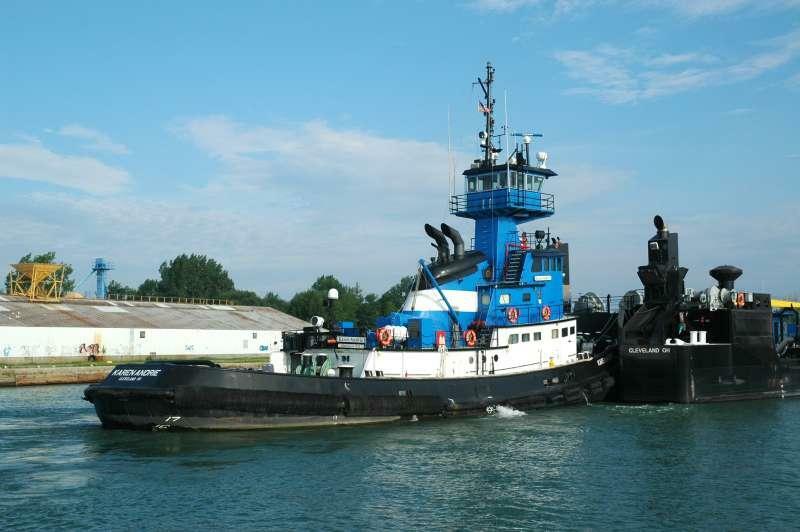 In 1993, the tug was acquired by Andrie Incorporated of Muskegon, Michigan. 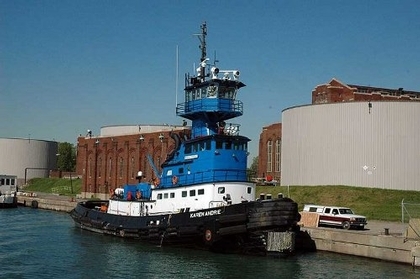 Where she was renamed as the Karen Andrie. In 2009, the tug was modified with a JAK coupler system. And, was repowered with two eight cylinder GM EMD 8-710 G7CT2 diesel engines. 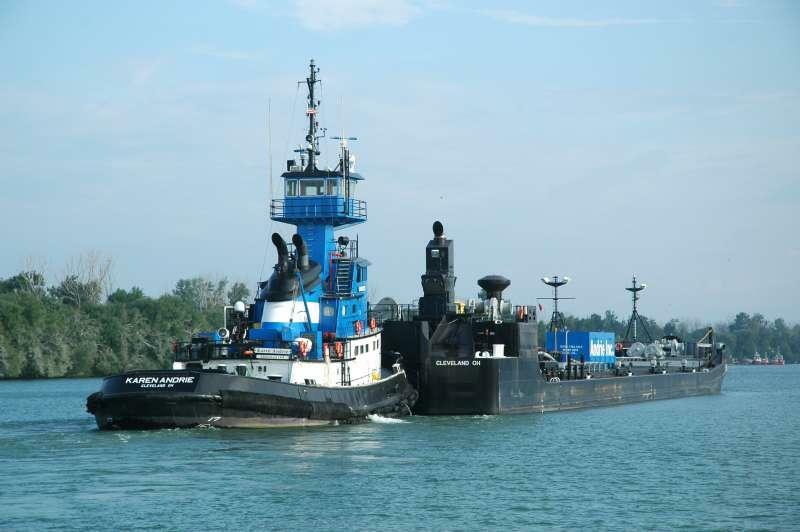 The new engines were matched with the tug's existing pair of Falk reduction gears. 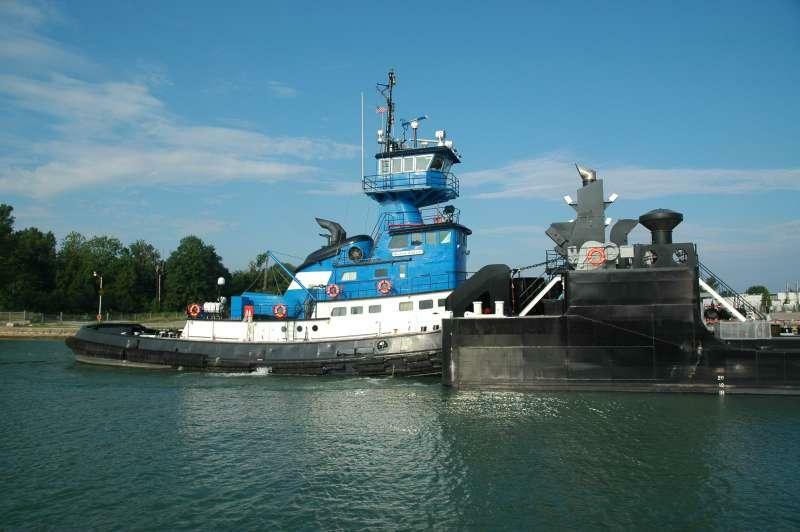 Which were also refurbished as part of the repower. Turning via 12.5(in) shafts, two 120(in) by 80(in) three bladed, fixed pitch, stainless steel propellers. For a rated 3,600 horsepower. 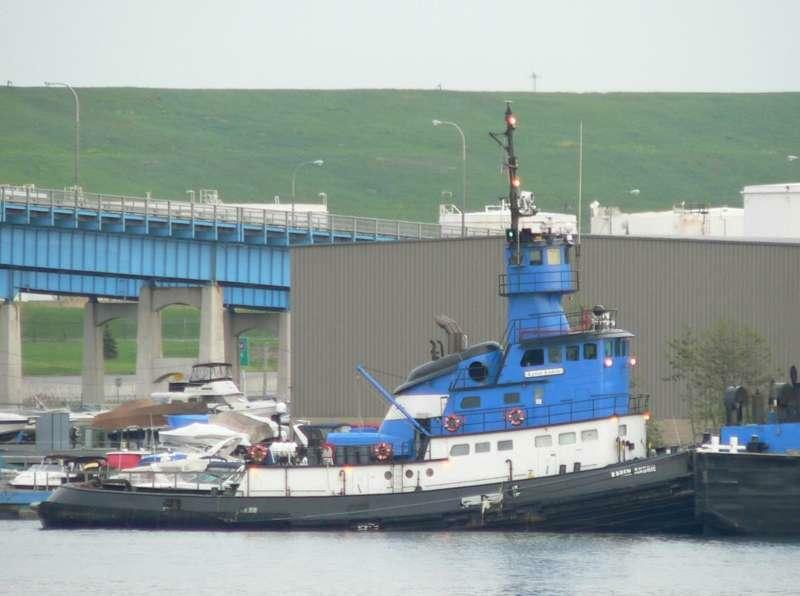 The tug also was fitted with a new upper pilothouse. With all new controls and electronics. 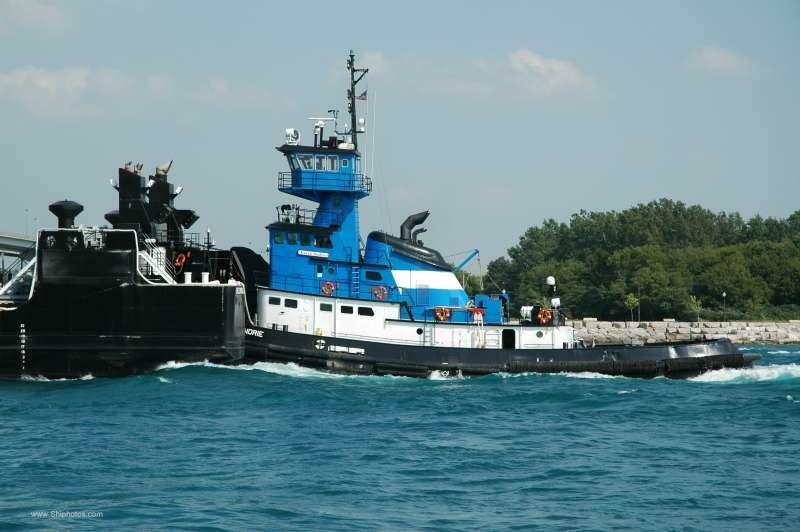 The tug also received a new engine exhaust system, new engine cooling system, and numerous other improvements. 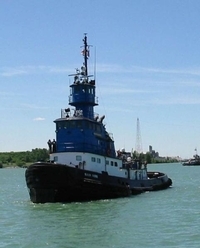 The tugs towing winch was also removed as part of the refit. Her electrical service is provided by two John Deere 8.1 L Power Tech 6081 OEM Diesel Engines 135 kW Spectrum Detroit Diesel Generators. The tug's capacities are 62,000 gallons of fuel oil, 1,556 gallons of lube oil, 934 gallons of waste oil, 2,762 gallons of potable water, and 5,200 gallons of wash water. 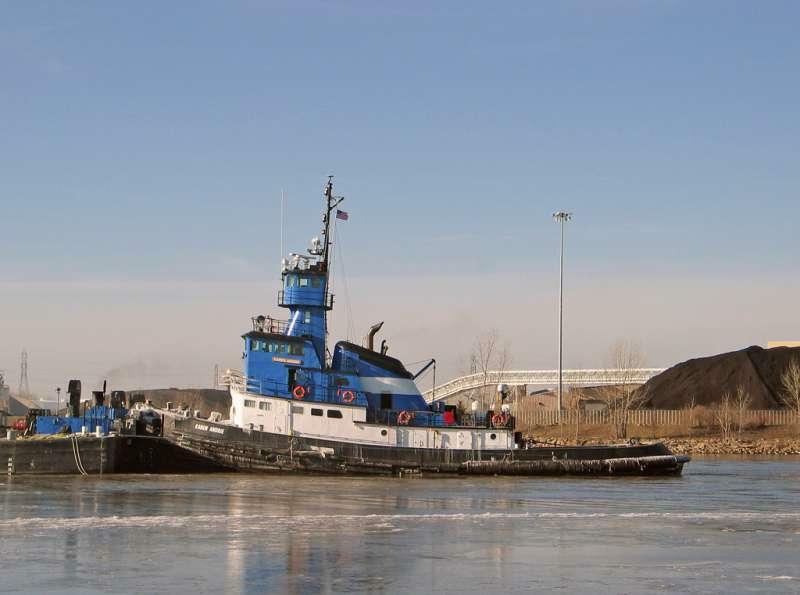 The tug's towing gear consists of two W.W. Patterson electric "facing" winches. 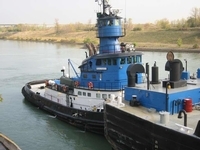 Gulf Coast Transit Inc., ANDRIE INC.